It’s ASV season at EER this week as we have two projects requiring the repair, rebuilding & refurbishment of an ASV 4810 Skid Steer Loader and the ASV drive cage on our Caterpillar 287B dozer. Earth Equipment Repair is one of the only heavy equipment shops in the Long Island – NYC area that specializes in ASV repairs, track replacements and trackpress service our new brand new OTC Trackmaster TM200, now called WTC Machinery. 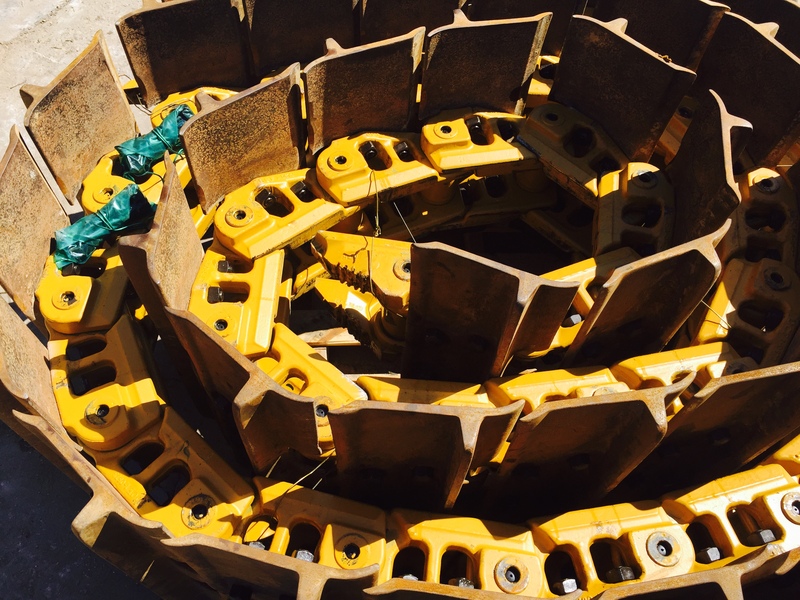 The guys are working on rebuilding the ASV drive cage of our Caterpillar 287B as well as the bottom rollers by stripping the tracks off one side at a time and refurbishing the entire undercarriage. As if that wasn’t enough they are also servicing an ASV 4810 skid steer loader that required the replacement of the front idlers and new tracks. This may seem like a daunting task for any mechanic shop but here at Earth Equipment Repair we are always ready for new jobs and have the unique ability of handling multiple top tier projects at the same time, just last week we replaced the tracks of a 40ton Kobelco excavator, among other things.